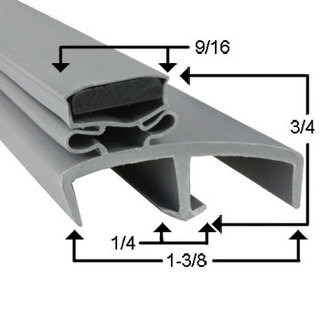 Tafco Door Gasket 32" x 78"
Door Gasket 36" x 78"
Tafco Door Gasket 38" x 78"
Component Hardware Group W-56 Series Cam Lift Hinge, reversible, 8" OA Length, Flush, Component Hardware Ref# W56-1000, Satin Chrome , now sold under the Kiel Brand name , interchangeable with Kason # 1256 . Kason 1246 Series Cam Lift Hinge, self-closing cam-rise hinges. Door opens with minimum effort. Strong self-lubricating nylon cam delivers smooth, trouble-free door operation. Cam-rise action reduces gasket wear, even with irregular floors. Built-in dwell holds door open beyond approximately 135°.Doors lift off without disassembly or removing hinges. Simple manuel operation reverses hinges for use on right or left-opening door.